When I think about the challenges of our time, I turn to the messages and guidance of our indigenous relatives across Abya Yala (the Kuna word for "the Americas") who remind us to remain united in resistance and solutions to protect Mother Earth and all that is sacred. While the threats to the Amazon and indigenous peoples seem daunting at times – with reports of increased deforestation due to industrial activity and lawlessness resulting in attacks against Earth Defenders – we cannot lose sight of hope and victories on the horizon. And while the day-to-day isn't always good, there are still many reasons to be hopeful for the future of the Amazon. 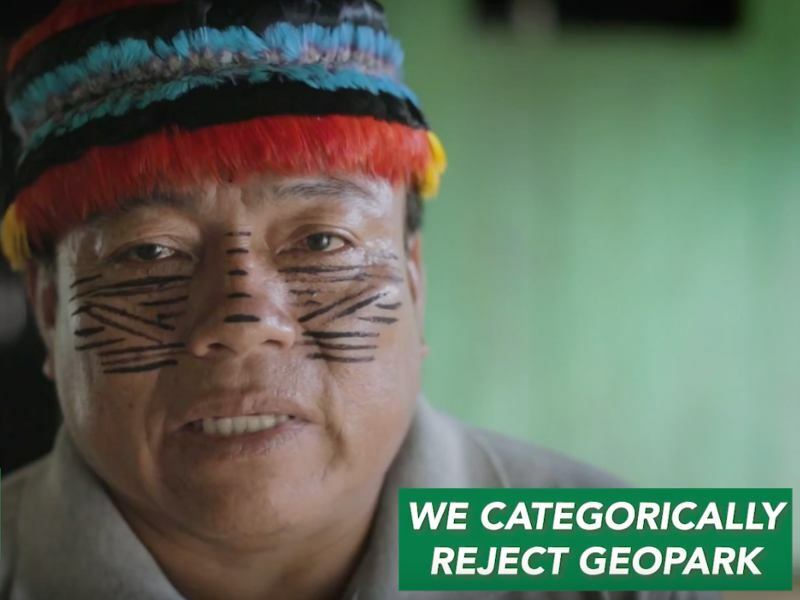 Indigenous peoples across the Amazon are resisting extraction and further destruction of their lands and promoting visionary solutions to protect their rights and territories. The Achuar of Peru are standing up, once again, to international oil companies trying to destroy their rainforest homes. 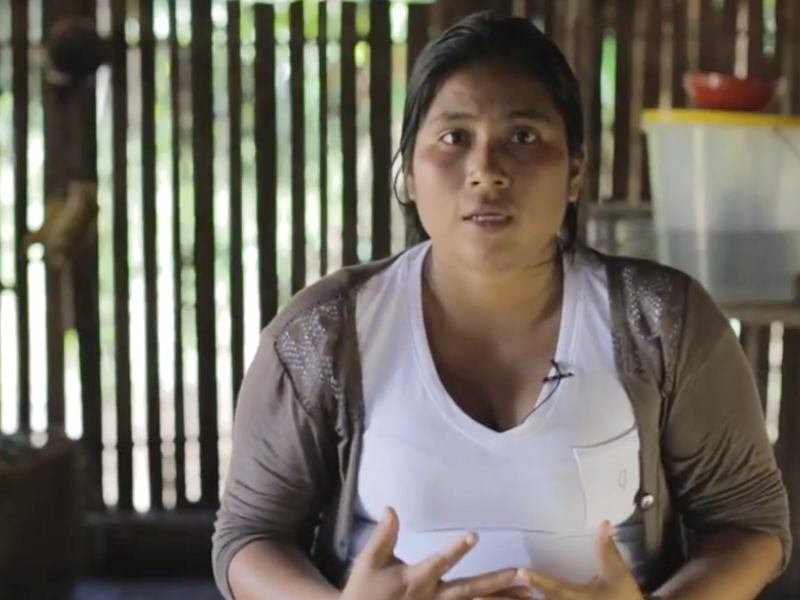 And in July the Kichwa people of Sarayaku officially launched and presented their visionary Kawsak Sacha (Living Forest) proposal to the Ecuadorian government and the international community. Sarayaku and the Achuar are heeding the call of the ancestors and climate scientists to protect forests, biodiversity, and water by keeping fossil fuels in the ground and advancing alternative and renewable energy solutions. 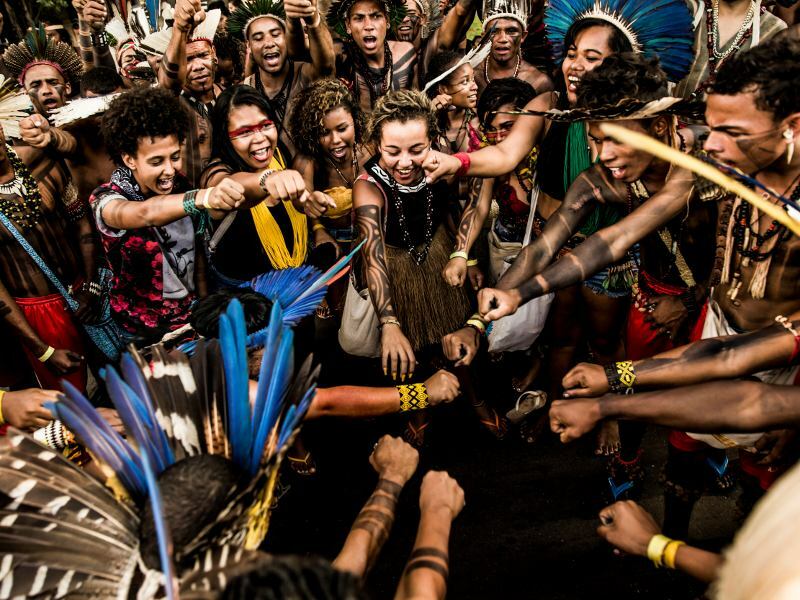 I'm also hopeful and incredibly inspired by the rise of women and youth leadership across the Amazon and the world. 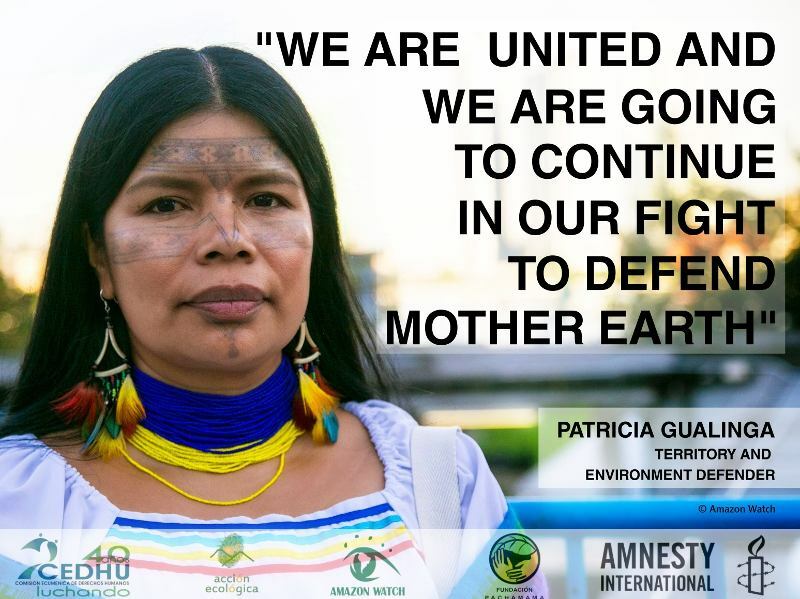 Women Defenders of the Amazon Against Natural Resource Extraction was formed after attacks on indigenous Earth Defenders and is now a movement growing across the Amazon! 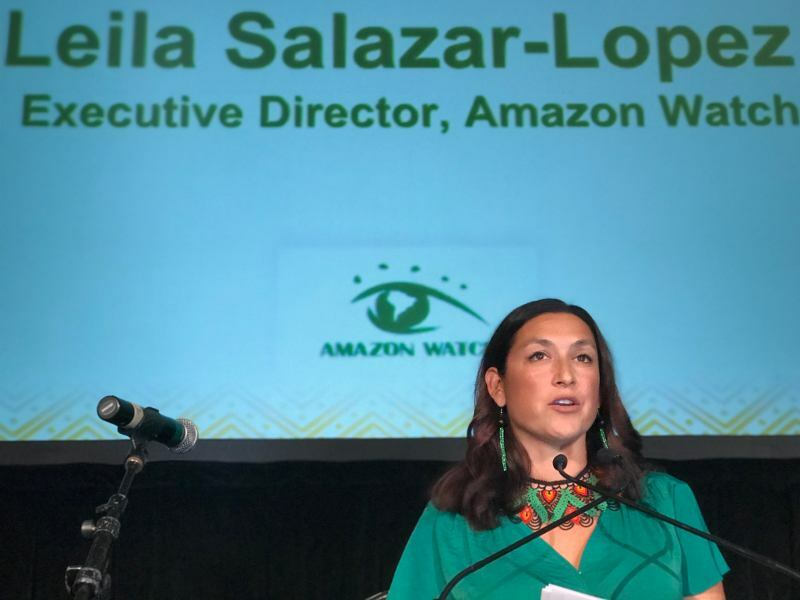 This kind of climate leadership is truly inspiring, and at Amazon Watch we are redoubling our commitment to support and foment this kind of resistance and solution-building. 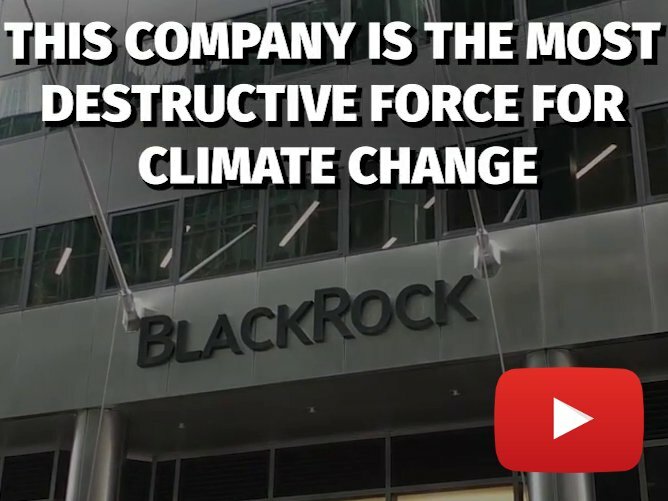 The world needs, and we pledge to be a part of, bold climate leadership committed to no new extraction and a just transition to renewable energy from California to the Amazon. To do this, we need you! Please join us to stop Amazon destruction, advance indigenous solutions and support climate justice with all of our indigenous partners and allies across Abya Yala.